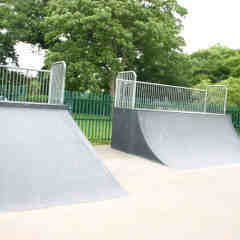 Metal ramps on tarmac skatepark, with a coating of black paint to stop the ramps rusting. 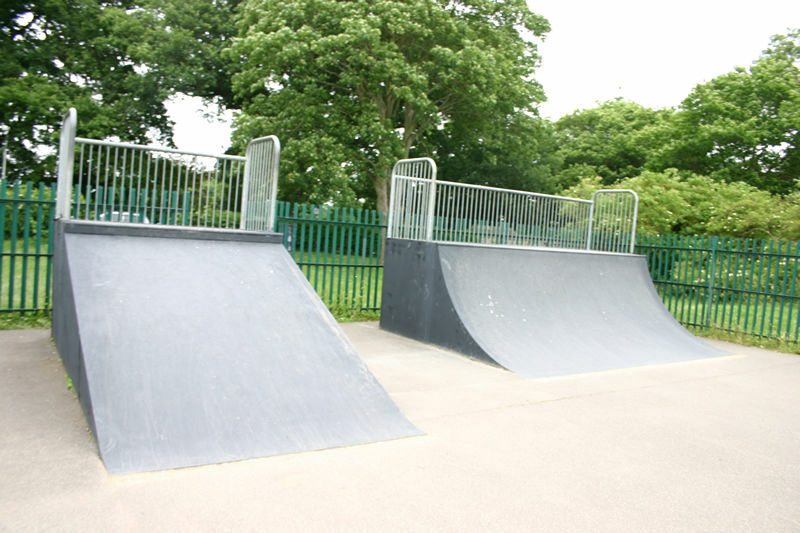 There is a nice mini-ramp at one end with an extension, then quarter pipe and a roll in leading from the ramp deck. 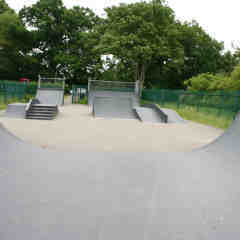 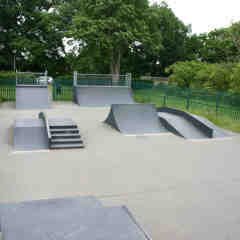 With a large BMX spine ramp and a pair of driveways with rails through the middle. 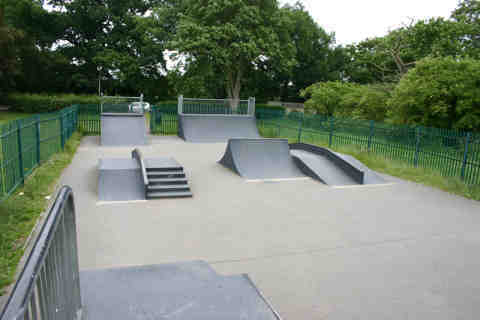 One of the driveways has a five stair next to the rail. 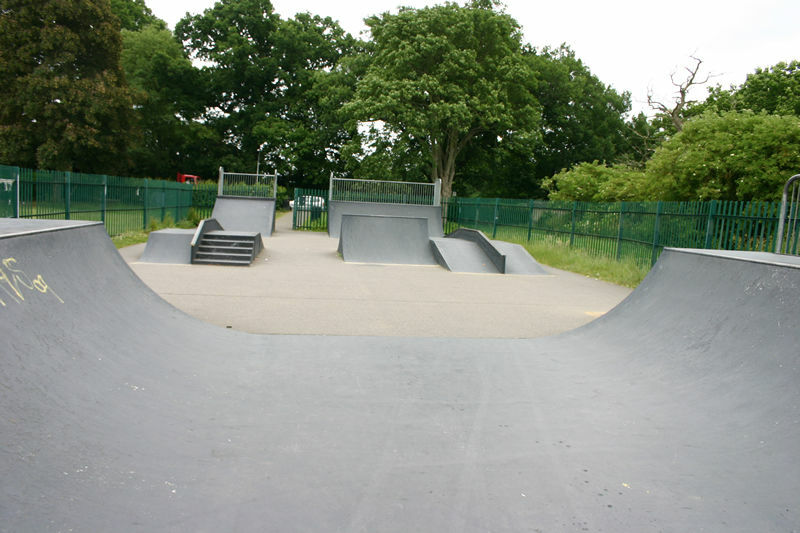 Then a quarter pipe and steep flat bank, with a curb height ledge at the top.